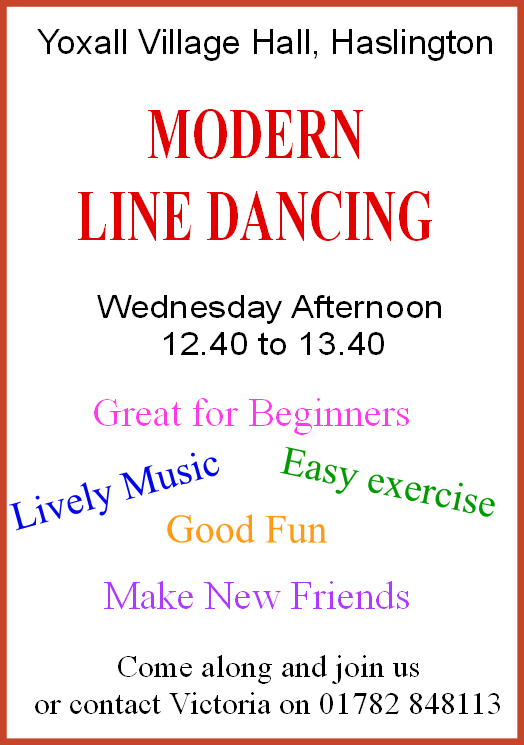 I have just joined a line dancing class at the Yoxall Village Hall on a Wednesday afternoon, 12.40 to 13.40. The first week there were only four of us there. Last week there were eight of us. The teacher Victoria is very experienced, very friendly, understanding and patient. The dances were great and everyone really enjoyed themselves. However, it has not been very well publicized and more members are needed. 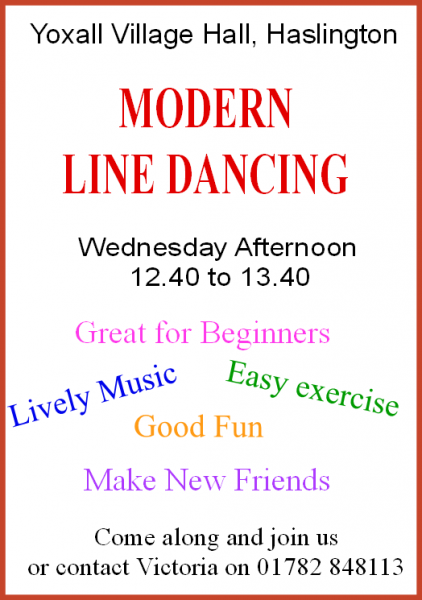 It is a great opportunity for beginners to give it a try and I personally would be very disappointed if it fails through lack of attendance. The teachers name is Victoria and her contact number is 01782 848113. Haslington WI Celebrate their 10th Birthday!